As it’s Sunday, I thought I’d share some of my gaming ramblings. Because I know how much you all love them! Largely, my weekend has consisted of close-reading Homer’s Odyssey for my degree, however. I’ve got to say, I’m not a fan of Lattimore’s translation, but unfortunately it’s the set book, so I guess I’ll just have to get on with it. I think I have two essays to produce on this, then it’s moving on to Classical Athens and the joy that is Aristophanes! I say this without a hint of irony: ignoring issues of translation, Aristophanes wrote some really very funny plays. I studied three for my A level back in the day, but enjoyed them so much that I read the other surviving eight for my own enjoyment. Reading Aristophanes, for me, is what makes the Classical world so utterly amazing – that I can still be in hysterics at a 2,430-year-old play really does speak volumes. 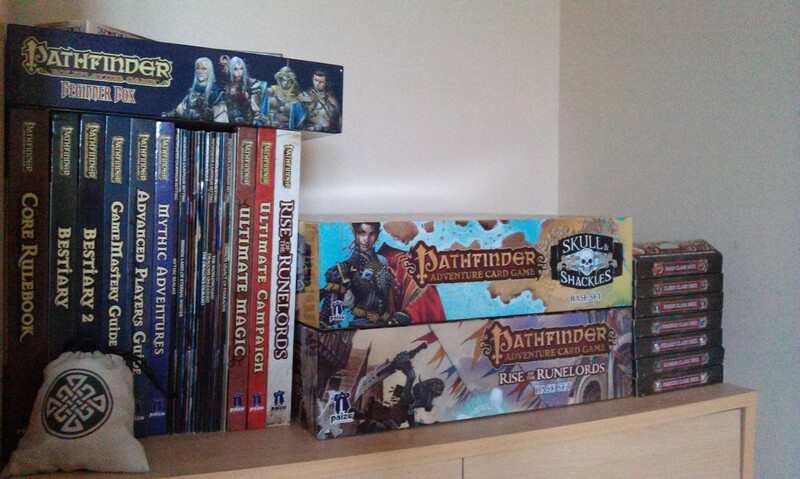 I think I mentioned the other day my glut of Pathfinder stuff? It seems that Paizo are producing a lot of material across their entire line of games at the moment, perhaps in time for christmas, with a fair few RPG releases as well. Something that has me baffled is the new Monster Codex, which seems like it might just be a reinvention of the Bestiary. Might be something I try to take a look at in real life before I decide if I want it. Something that does look interesting is the Advanced Class Origins supplement, designed to work alongside the Advanced Class Guide. I’m a complete sucker for anything that works off existing material to enrich the roleplaying experience, so am quite tempted by this! 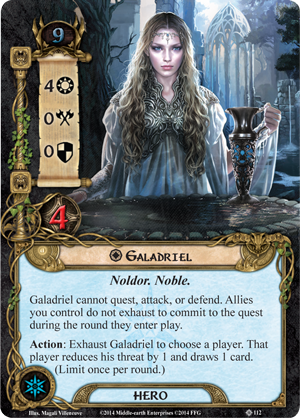 I’ve been taking a look at the Class decks for the Adventure Card Game, and am pleased to report that they look pretty awesome! The idea behind the decks is that you get four heroes (one of whom is a new version of an already-released character) with a whole slew of stuff – spells, weapons, armour, items, allies and blessings. Some of these are new, and some are already-existing options. However, the cards are organised by adventure deck number, so when you make it to, say, The Hook Mountain Massacre, you add in to the pool all of the cards with a 3 in the top corner, along with the cards from the third adventure deck, increasing your deck-customisation options! Marvellous. After a bit of rummaging around online, I’ve also read they’ve announced the third box in the Adventure Card Game line, Wrath of the Righteous. This was the thirteenth adventure path in the RPG (Skull & Shackles was the tenth, if you recall? ), which brings us fairly close as the current, Iron Gods adventure path is only #15! The Worldwound tore reality apart at the dawn of the Age of Lost Omens, murdering the nation of Sarkoris and unleashing a ravenous demonic horde upon the world. Only the quick action of several other nations of knights, barbarians, and heroes stemmed the demon army and contained it within lost Sarkoris, and for the next century, crusade after crusade tried to defeat the demons only to fail time and time again. Their greatest success, the line of magical artifacts known as wardstones that stand sentinel along the Worldwound’s border, barely manages to contain the demons. So when one of the wardstones is sabotaged, a city falls and the demons within surge out in a massive assault like none before. Even before the Fifth Crusade has begun a city has fallen and some of the crusaders’ greatest defenders and heroes are slain. Can anyone rise up against the demon host to prevent the armies of Deskari, the demon lord of the Locust Host, from swallowing the world? 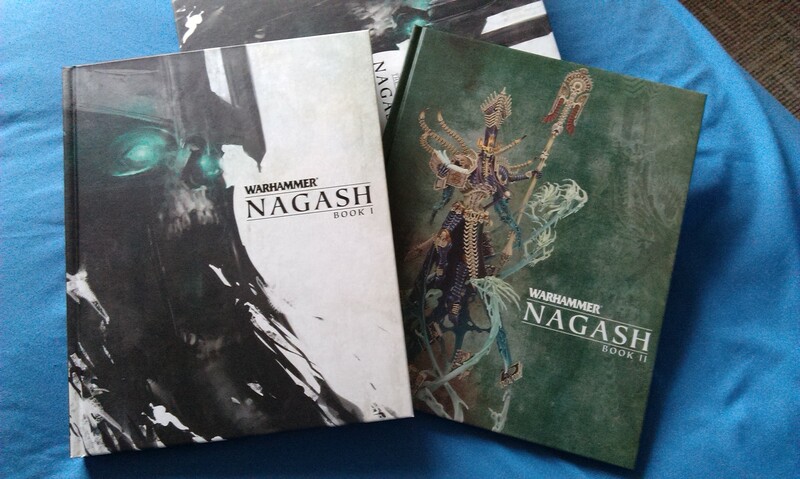 I’m quite excited, as I’ve long been intrigued by the Worldwound setting, and the demons that are contained therein. Should be lots of fun! When all is said and done, however, I’m actually trying to cut back a little on my gaming spending right now. Seems like I’ve been buying a lot of things of late just because they look good, which I suppose isn’t necessarily a bad thing, but I’m starting to think more about the practicalities and whatnot, as I find myself with a whole host of games that I don’t get to play. There’s also the fact that I’m essentially diluting my games collection, by spending so much time playing new games and not getting to play those that I love. While Lord of the Rings is a case in point, there are a whole host of amazing games that I’ve barely played all year – Warhammer Invasion has been out 4 or 5 times, and I’ve only played Runebound, and Fortune and Glory, once! So I feel something must be done! 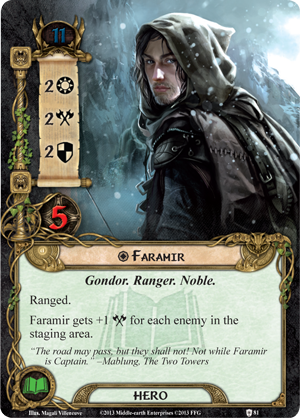 Following on from writing my Shadows of Mirkwood blog a while ago, and my recent foray back into playing The Lord of the Rings, I’ve been looking at my decks to see if they’re as good as they can be. As a consummate theme player, I’m not interested in playing rush-type decks – indeed, when I’ve played such in other games, I’ve always felt hollow. I’ve had five decks made up for at least a year, and the last time they were looked at in any depth was about as long ago, so I’m feeling the time is right for some adventures in deckbuilding! The other day, you might remember I mentioned playing Passage through Mirkwood twice, and failing at my first attempt? 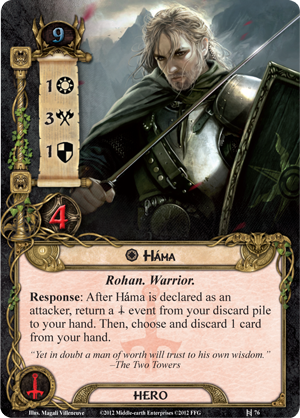 Well, that was with my Rohan deck, which has been having the odd card added to it since the Ringmaker cycle started giving us new Rohan cards, but in very much a piecemeal fashion. So I’ve taken a closer look at how the deck works as a whole. 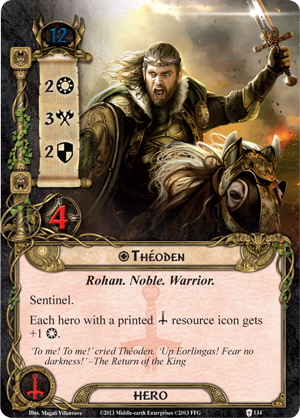 My Rohan deck is tri-sphere: Théoden (tactics), Théodred (leadership) and Dúnhere (spirit). However, there are barely any leadership cards in there, so it might as well be dual-sphere. I was wondering why I kept pulling Songs of Battle and Parting Gifts! 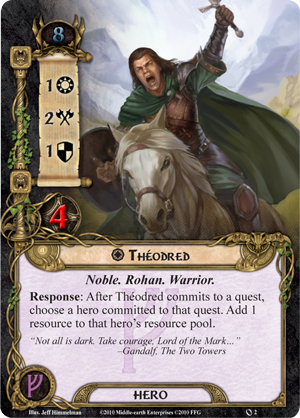 The premise of this deck, then, is to quest with Théodred and use his ability to add resources to the other guys. 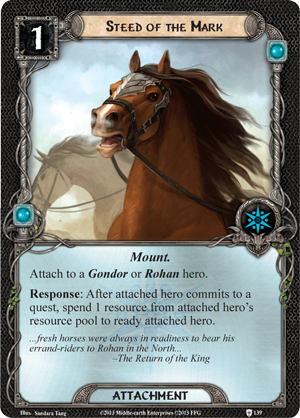 If Théoden can have a Steed of the Mark, he becomes really useful, for questing and attacking – an extra resource each turn from his son makes this a really nice little combo! However, including a hero simply for his effect, and moving his resources around, is a really high gambit in a game like this, and I’d imagine the effect might not be worthwhile in a lot of other scenarios. 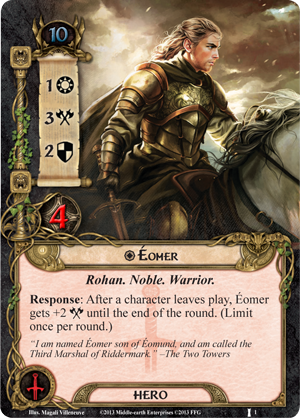 So I’m considering swapping him out for Éomer, who is very useful with his personal attachment, Firefoot, or Háma, who is cheaper but whose ability isn’t as useful, given the amount of tactics events in my deck. At any rate, the deck also contains a lot of Eagles cards – tactics all – so I feel a move back to dual-sphere might be in order. I had a Hobbit deck made up that was just awful, so have disassembled that and put it all away. 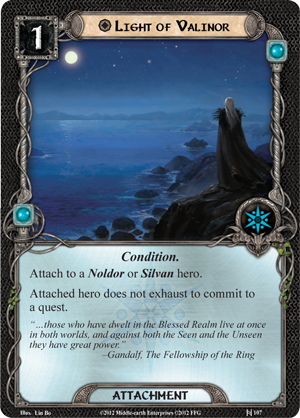 I might come to that again, but probably when we have the Dúnedain cards from The Lost Realm, as I feel there will be some nice synergy there. 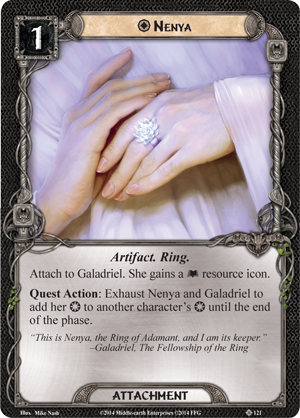 I was a playtester for this expansion, and the Angmar Awakened cycle that will follow, so I’m kinda biased on this point. Obviously, I’m still under NDA, so won’t be spoiling anything. 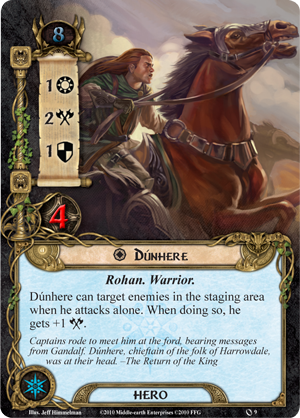 However, the preview article linked above does describe how the new Dúnedain cards work in terms of drawing enemies to them, which I think will work well in pulling focus away from Hobbit cards, in order to allow them to progress on the quest. We’ll see how that works in practice, though! I’ve had what I call an all-purpose deck set up since Heirs of Númenor came out, with some new cards added as and when. This is the deck that I’d taken all the way through the Against the Shadow cycle with some success, but it has become a bit lumbering. 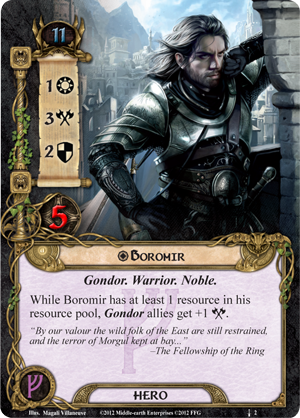 It uses Boromir (leadership), Aragorn (lore) and Glorfindel (spirit), but it seems that the amount of tricks needed to make the deck work, combined with some staple cards, have made it too much hassle. I may make a record of what’s in it, then disassemble that one, too. 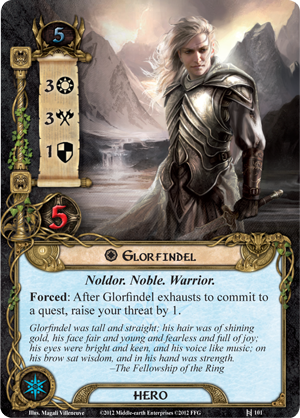 However, Glorfindel brings me onto something I’ve wanted to try for a long time with this game: an Elf deck. I’m not a huge Elf fan – my mate Tony is far more Elven than I am – but some of the coolest characters in this story are Elves, I think. 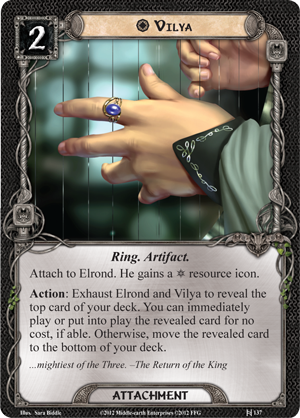 With the new cards coming from the Ringmaker cycle, I’m thinking this should be a very definite move for me, anyway! 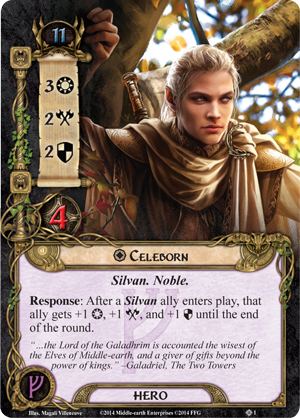 So Celeborn (leadership), Elrond (lore), and for now, Glorfindel, while I await Galadriel (spirit) – if only because it means I can get to play with the rings Vilya and Nenya. 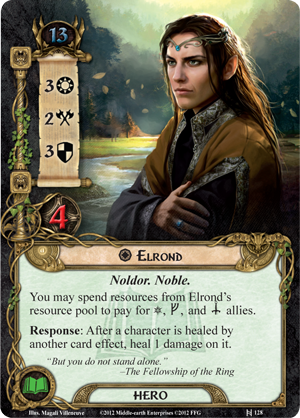 There are quite a few good elven cards in tactics, of course, but Elrond’s ability can pay for the allies, and if it becomes too much hassle, I suppose I can always swap out Celeborn for Legolas – off the top of my head, I don’t think there are very many good elven cards in leadership, but I would love to try out a deck with the husband-and-wife team! 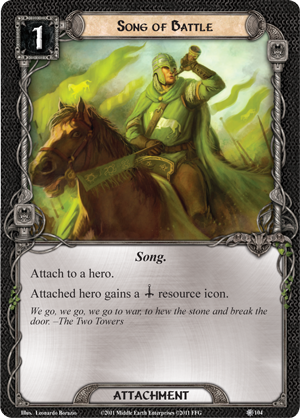 My Gondor/Outlands deck is fairly decent for now, though I think it too could use some paring-down. 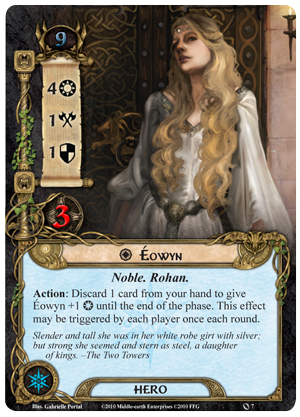 Faramir (lore), Hirluin (leadership) and Éowyn (spirit) make for a heady mix, of course, and the progression of fantastic allies can make this deck really fun to play with. Outlands decks, of course, have come under fire for “breaking” the game, but I’m generally not lucky enough to ever get such combos set up. Probably because of the size of the deck. So yeah, some revision might be needed there! The last deck I have built and ready is my Dwarf deck. Dáin Ironfoot (leadership), Ori (lore) and Óin (spirit), they have rarely failed me thus far! 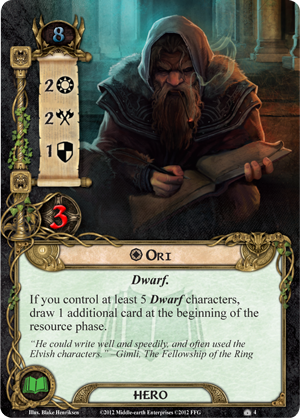 I had a very memorable Adventures with Dwarves day back in March this year, where I took this deck through some of the Dwarrowdelf cycle. 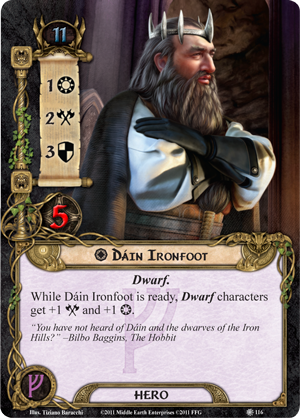 There hasn’t been a massive amount of dwarf cards released since the Hobbit Saga boxes, so I’m fairly certain this deck can remain as it stands right now. 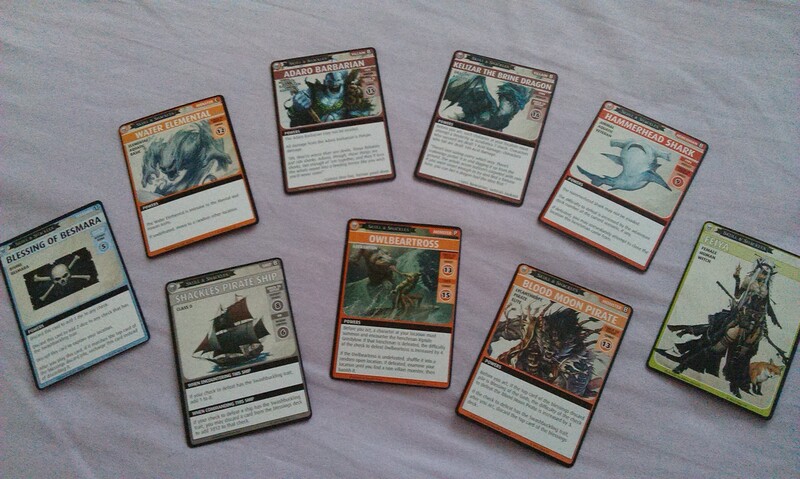 Anyway, that’s enough of my rambling thoughts on deckbuilding – such as they were – for now. Once I’ve done some fiddling with these decks and have tried them out, I’m sure I’ll be back! Happy Wednesday! I had a day off today, largely spent studying and moving furniture. An exciting day, indeed! The weather may have been awful, but even so, it has been an excellent inside-day! I can heartily recommend Keemun tea from Twinings, incidentally. Lately, I’m finding that tea is greatly beneficial to my studies! You’ll remember, hopefully, that I’ve recently started on the next module of my OU degree, Exploring the Classical World? Well, I’m currently reading the Odyssey again, so today I broke out my A level notes and had a brief wander through to reacquaint myself. It is grand, I can highly recommend it to you all! I’ve been looking at some more upcoming games, finally getting round to the next deluxe expansion for Call of Cthulhu – For the Greater Good. 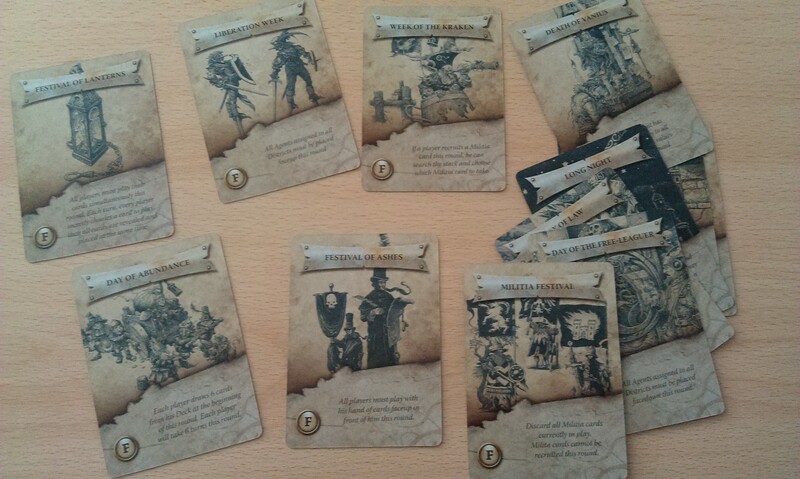 each of the game’s eight factions gain inexpensive support cards that you can attach to a story to tilt the odds of its resolution not-so-subtly in your favor. Combined with a variety of powerful new characters, including a new three-cost Ancient One, these attachments allow you to play to your strengths even as they make the game more dynamic and horrifying. Sounds good, no? So that’ll be something to look forward to early next year. 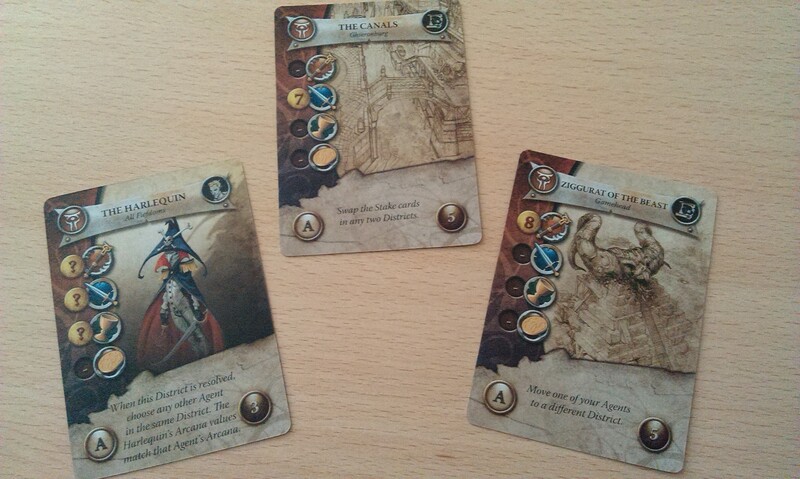 The next big thing for Summoner Wars, announced back in September (I think), is the Alliances master set. 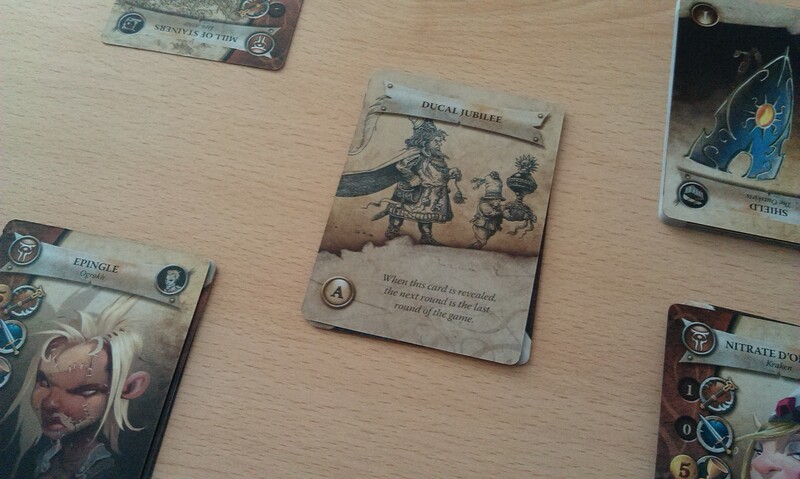 Summoner Wars is a great game, though I have yet to feature it on my blog here. 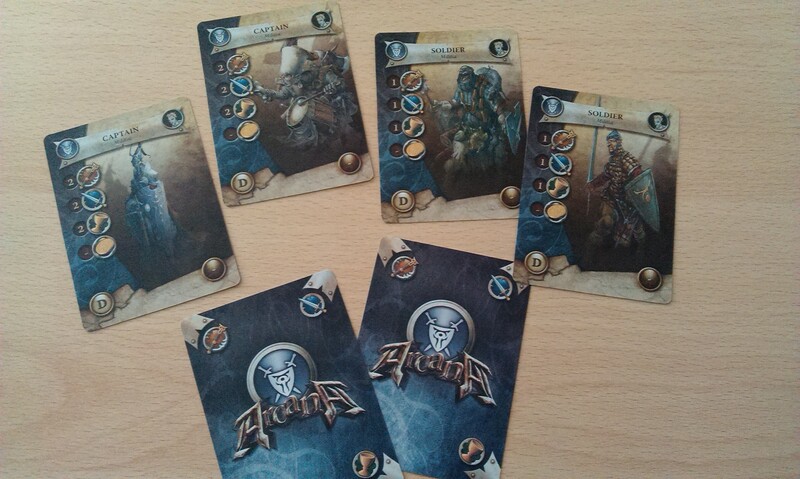 The game is effectively a combat card game for two players, with sixteen factions (I think) to choose from. Last year, we started seeing Second Summoner packs, to make the deckbuilding a more rich experience. 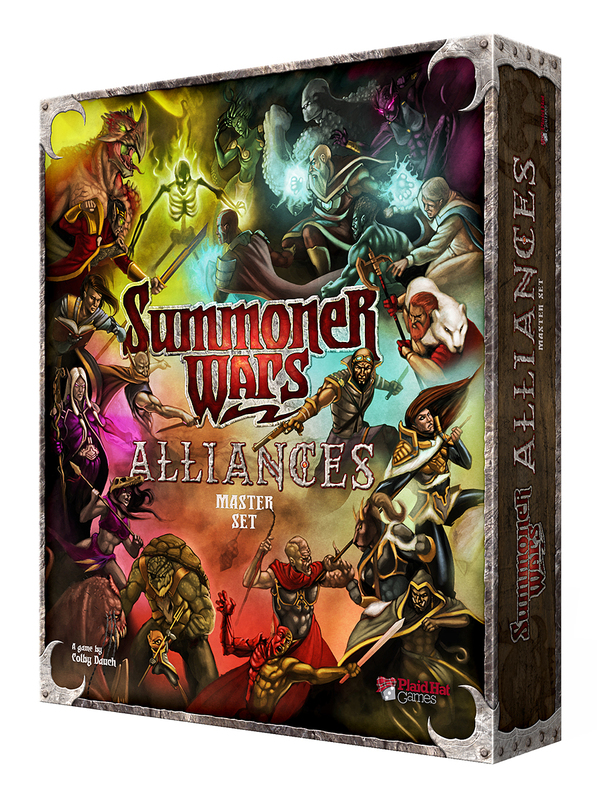 The Alliances master set blends two of the existing factions together, and further mixes up the deckbuilding aspect of the game. Looking forward to welcoming this one into the fold! Look for a blog on the game at some future date, too! With regard to playing games, I had a couple of games with Lord of the Rings. Checking my stats on bgg, it’s been just over four months since I last played this game, but it feels like so much longer! In actual fact, I don’t really remember playing any of those games, but still. I decided to take my Rohan deck for a Passage through Mirkwood, the original quest in the box, and was surprised when I just couldn’t get it going, and threated-out! I don’t think I’ve lost that game since my very first plays! After a brief re-set, I did manage to complete the quest in ten rounds, but still, I was shocked! I’m still enjoying the Warhammer life, though of course, I have pulled back a little since my earlier gusto with the IP. However, I am hoping to get involved with the tabletop game at some point once the much-rumoured new codex arrives. In the meantime, I’ve been building up a small army, links to which you can find on my Necrons page over on the right. 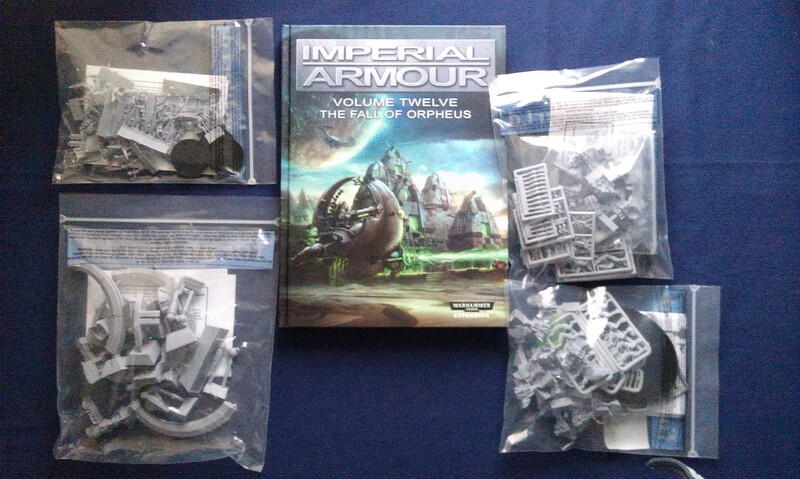 Today I took delivery of four resin models from Forge World, along with the Imperial Armour book that features the rules for these miniatures. I’m not a huge fan of resin, and some of these models are incredibly intricate, but still! Earlier in the month, I was beginning to feel a bit like I’d rushed a bit too quickly into the Warhammer world, which is still the case, unfortunately. Don’t get me wrong, I’m not about to write off the last two months of expense and drop it as fast as I picked it up, but I feel that I’ve focused perhaps a bit too much on the Old World, especially during September. It’s still my new favourite thing, but I’m trying to restore some balance in my life, so I’m definitely pulling back a little now. Anyhow, I’ll leave it there for now. Until next time! Think I’ve got that wrong? You obviously don’t know your Star Wars lore, my friend! Welcome to The Star Wars! The iconic movie that launched the franchise, A New Hope is a true classic of the genre, and an increasing pool of material is available that shows the genesis of that film, from the Annotated Screenplays through to JW Rinzler’s epic The Making of Star Wars. However, all of these books tell us about the near-mythical procession of drafts that George Lucas wrote for the first movie, four tales that see most of the ideas and concepts that surface throughout the six films Lucas eventually made, but we have to turn to the internet for the actual screenplays if we want to read them for ourselves. Spring 1973: Lucas produces the Story Synopsis, eventually picked up by Fox. May 1974: Lucas finishes the Rough Draft, which proved too long to film. July 1974: Lucas writes the First Draft, largely changing names. April 1975: Lucas revises this into The Adventures of Luke Starkiller, which would become the film A New Hope. The Rough Draft is a massive tale that effectively tells the story of the three films, episodes 4-6. Something that is particularly fun when reading this story is seeing how the kernels of the ideas – indeed, sometimes the entire sequence – develop into the finished movie. Sometimes it’s only a name that changes, sometimes it’s more. Until the recent GREAT REBELLION, the JEDI BENDU were the most feared warriors in the universe. For one hundred thousand years, generations of JEDI perfected their art as the personal bodyguards of the emperor. They were the chief architects of the invincible IMPERIAL SPACE FORCE which expanded the EMPIRE across the galaxy, from the celestial equator to the farthest reaches of the GREAT RIFT. Now these legendary warriors are all but extinct. One by one they have been hunted down and destroyed as enemies of the NEW EMPIRE by a ferocious and sinister rival warrior sect, THE KNIGHTS OF SITH. The story starts with the opening crawl, of course. It’s interesting to see how certain characters sometimes perform entirely different roles than we’re used to, such as Darth Vader being a general in the Imperial army, with Prince Valorum the actual Sith Lord. (Yes, that’s right – Valorum). It’s also interesting seeing a lot of names that crop up “officially” on vastly different characters – not just Valorum of course, but also Biggs, Whitsun and Tarkin. 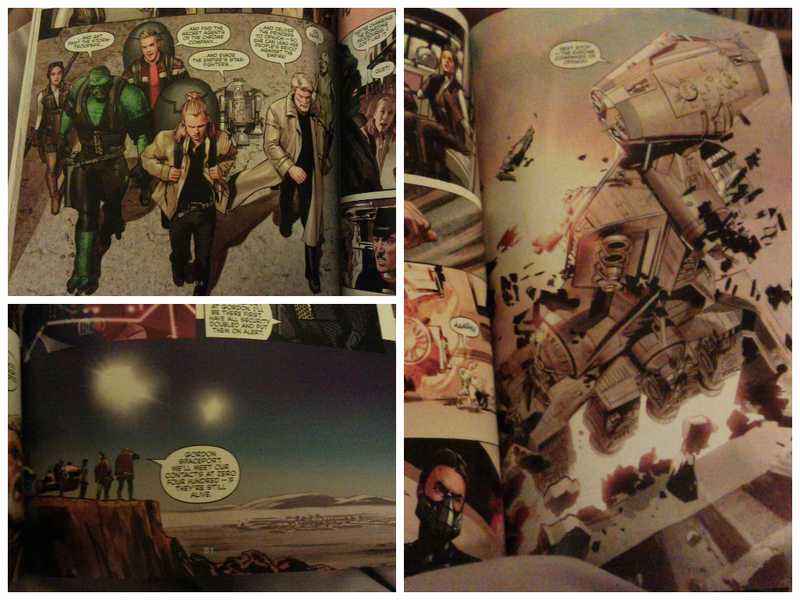 Famously, Alderaan is the Imperial Homeworld, while Leia and her family live on Aquilae, a prototype Tatooine. 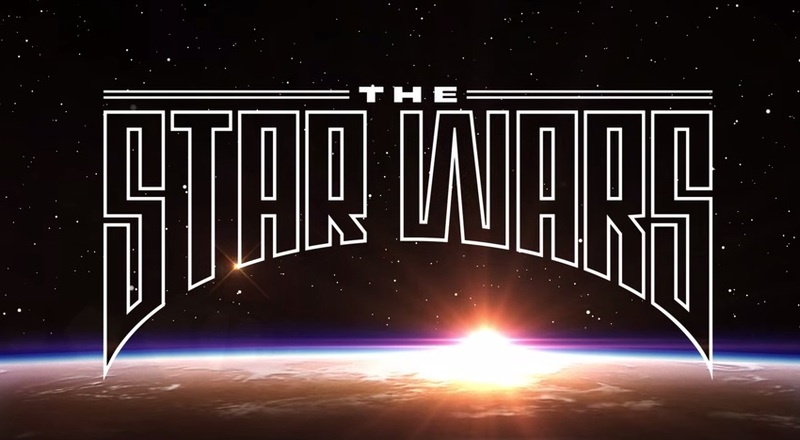 The Star Wars is a faithful adaptation of the Rough Draft by Rinzler, anyway, with the art of Mike Mayhew taking its cues from the original Ralph McQuarrie paintings (that were, in fact, done for the Second Draft, but anyway) and so leading to an often very close semblance to the finished film. Something that immediately struck me was just how much Luke Skywalker, the grizzled old Jedi Bendu, looks like George Lucas. But, y’know, leaner. 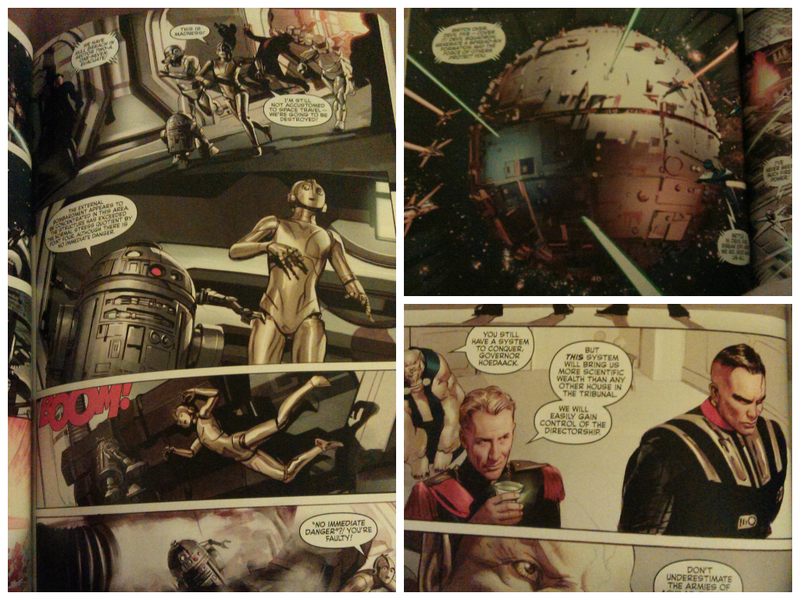 Other visual elements help to pull the comic in line with the film, such as Governor Hoedaack looking a lot like Grand Moff Tarkin, and Darth Vader, while shorn of his iconic helmet (though that does appear from the back in one panel), he retains his silver pectoral armour. Something that I thought startling was just how much Leia can look like Natalie Portman, and similarly, how the Jedi Bendu Clieg Whitsun looks like the young Ewan McGregor. The story also has a lot more sci-fi in it that the eventual space opera we all know and love, I suppose partly because the Force hasn’t yet been developed into the mystical energy field that the Jedi (Bendu or otherwise) can manipulate. There is a lot of… well, not jargon per se, but the story has a very distinct feel to its language. The movie starts in media res, of course, and we have to assume quite a lot until we get to the central exposition, but this Rough Draft treatment just plunges us directly into a foreign galaxy, and we’re left more as observers than getting all that involved in the plot. This isn’t necessarily a bad thing, of course, as the story has such an epic sweep that it succeeds in gathering us up regardless. It’s got pretty much everything; from the fourth moon of Utapau to the thrown room of Aquilae, we’re taken on a wonderful ride. Long time Star Wars fans will no doubt delight in seeing a classic of the meta mythos being realised, while newcomers have a whole new take on the classic film. 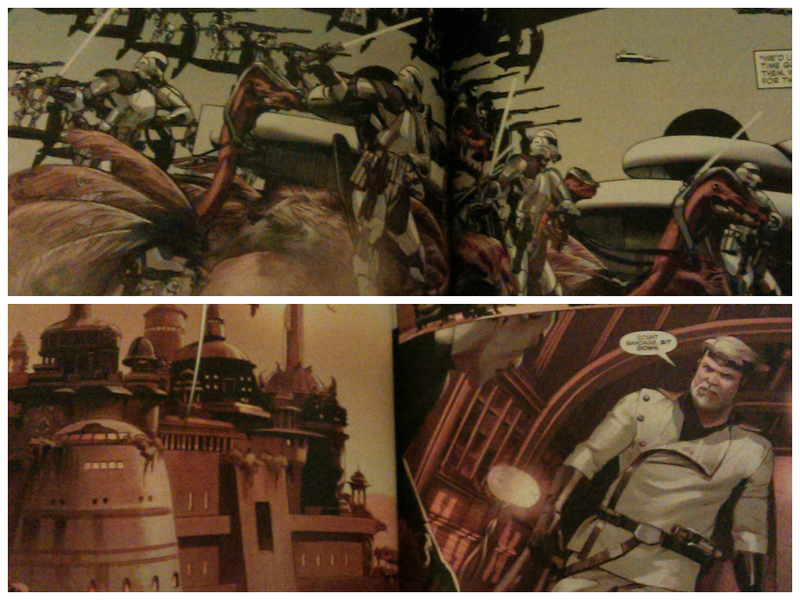 At eight comics, though, we’re getting just over 180 pages of book here. On the one hand, we’re also getting a nice look at the original plan for the story, which eventually became a trilogy of films, but on the other, this is quite a bit longer than your average graphic novel. 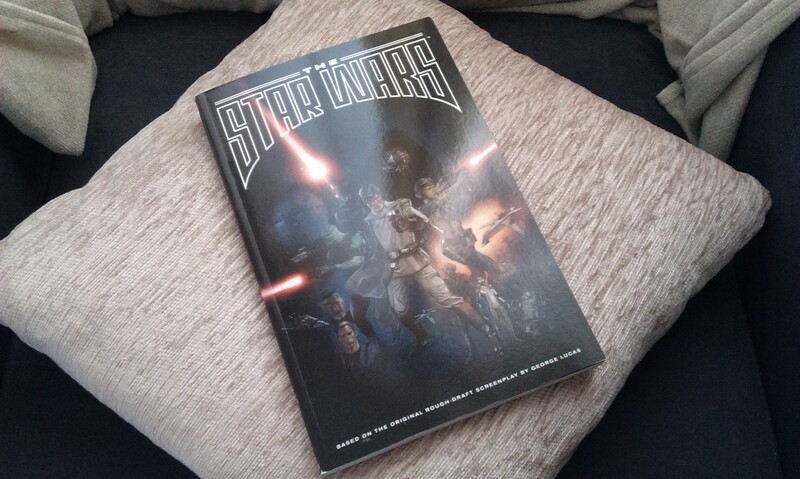 While I usually have no problem in spending my time reading through book after book in an afternoon, I did have to split this into two nights’ reading, as it can be a little too different at times – when it veers into the realms of hard sci-fi and I just need to take a break from it all! Might be worth bearing in mind, anyway. But don’t let that put you off – grab a copy today! I’m currently watching House of Flying Daggers, which has a bit of a soap-opera-y story, but also has some truly excellent set-pieces. I draw your attention to the Echo Game near the beginning, and the sequence in the bamboo forest, for but two of these. I also really love the production design – and some of those locations, oh my! But yeah, it is a bit meh as far as the story goes. Can’t let that get in the way though! Oh yes, and I’m enjoying a cup of lapsang souchong again. Fabulous times! Had a pretty excellent lunch today. 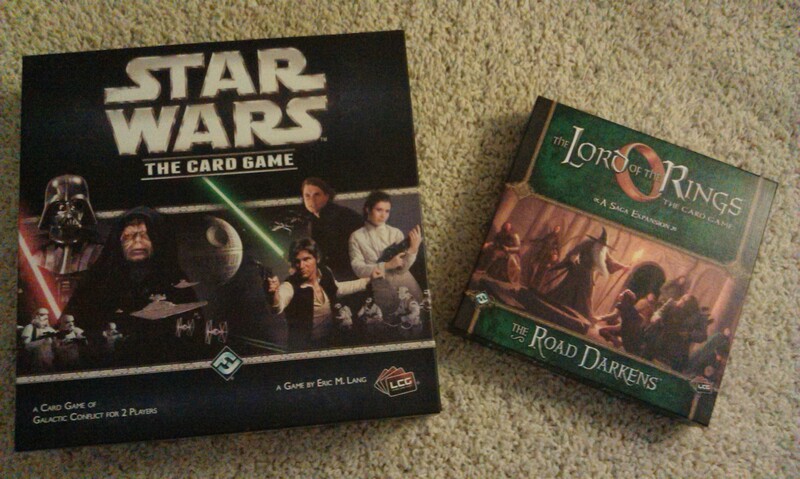 I walked into my local game shop to pick up the new saga expansion for Lord of the Rings, and the manager had the Star Wars LCG laid out trying to learn how to play it. Being the gent that I am, I offered to help, and thus had a marvellous impromptu game! I lost, but that doesn’t really say all that much! But in my defense, it’s been a long time since I’ve played this… But anyhow, I’m hoping that I can play this game a bit more often, so have spent a small portion of my evening making up a pair of decks – Scum & Villainy, and Jedi – in the hope that they won’t just be there gathering dust for the next few months! I’ve only briefly looked at The Road Darkens, and it does look quite fabulous, but I think I might keep it for a while yet. 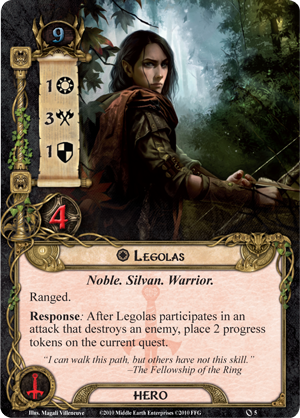 Since I wrote the Mirkwood Cycle blog last week, I’ve been really craving getting back into this game, but I want to start with my favourites. The new expansion doesn’t add a lot of player cards, as the bulk of it is made up of new encounter cards. In fact, this box departs from tradition by having each of the three quests use a single, 30-odd card encounter set. Finally! I usually find myself buying three, or even four copies of deluxe expansions in order to have all of the scenarios set up and ready to go from the start, so this is good news for my wallet! Anyhow, despite only the handful of new player cards, I do want to look at the decks I have set up, as I think there are five decks I have had made up now for about a year at least, with minimal tinkering as new expansion packs have come out, so I could be missing out on some good synergies and combinations. I’m still only on part two of Rise of the Runelords, of course, and up until last night had been thinking that I’d wait until the end of that adventure path before wading out among the Shackles, but thinking logically about this, there’s no reason to do so, as one is not a continuation of the other. 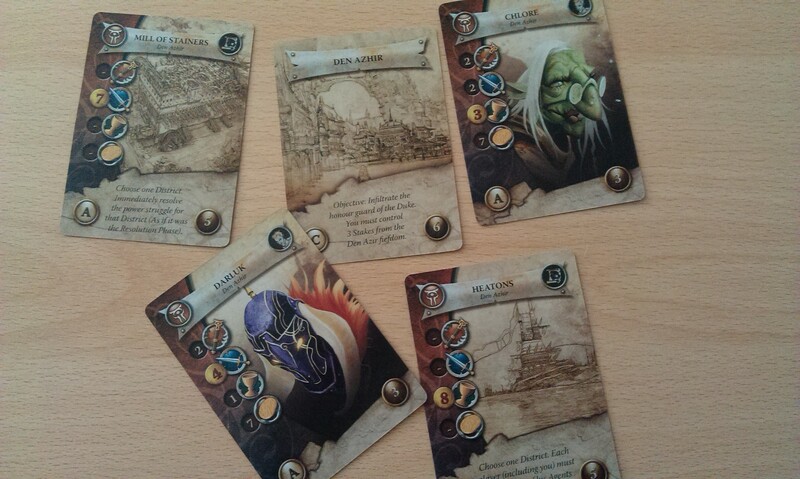 Plus, with the class decks, there is an almighty mass of new heroes to take on a watery adventure! So I might break it out soon. Especially now that I have the rulebook to know how it all works! I was really happy to see this news last night, I have to say! Back when this game was announced at Gen Con this year, I was really excited – finally, a Star Wars board game from Fantasy Flight! My favourite IP from my favourite company! Of course, as part of the deal, they announced ally and villain packs for Luke and Vader which would be included in the core set, which was amazing. But already we’ll be seeing more to help bulk out the game soon after its release! Wonderful stuff! Imperial Assault does bring up an interesting point that has been doing the rounds over the weekend, however. Over on boardgamegeek, a fairly hostile review of the new Warhammer Conquest LCG went up, spawning quite a stunning comments. The original review has been taken down, including some of the offensive follow-up points, but the conversation is still going on as I type. Anyway, while I personally happened to disagree on a lot of the points made, something has emerged as potentially troubling the gaming community. FFG do seem to be putting out a lot of games that recycle mechanics of pre-existing – and, often, ‘current’ – games, and Imperial Assault is a perfect example of this. Descent is still being published, with an expansion released not that long ago, and already we’re seeing this re-skin. Warhammer Conquest is said to be a re-skin of Call of Cthulhu, simply because the players are fighting over a central line-up of cards, be they planets or stories (comparisons have also been made with Blood Bowl: Team Manager). The comparison ends there, of course, as combat is handled entirely differently, to say nothing of card draw and resourcing, but the point still seems to stand. Now, I enjoy Cthulhu a lot (check out my blog for more thoughts! ), and I have enjoyed my one game of Conquest so far. The fact that the two games bear a superficial resemblance to each other doesn’t really enter my head, as I’m focused on the theme the whole time. My limited experience with Descent will likely inform my opinion of Imperial Assault in the same way that Cthulhu has done so for Conquest. I am aware that Descent is a good game, but have only really played the solo variant as linked earlier. Because I enjoyed Descent when I have managed to play it does not mean I will not like Imperial Assault “because it’s just Descent in space” – that, to me, is an extremely short-sighted opinion to have. First of all, while Imperial Assault does bear a strong resemblance to Descent, it is not simply a re-skin. However, I enjoy Descent (from what I’ve played of it), and I really enjoy Star Wars. As a reasonably intelligent human being, I can assimilate what I know of the Descent mechanics with what has been previewed of the Imperial Assault game thus far, and I come to the opinion that I will, more than likely, really like the upcoming game. So what’s wrong with that? Well, creativity is said to be stifled, or game designers are encouraged to be lazy, or somesuch claptrap. I honestly don’t believe that applying a new theme to an existing game system is such a bad idea. RPGs do it all the time, and nobody seems to really care – indeed, it can often be a selling point, as players aren’t faced with the daunting prospect of having to learn an entirely new rules set before they can sit down and enjoy themselves. But I also don’t really see companies like FFG encouraging lazy design over true innovation, as there are plenty of new and upcoming games that they have on the roster that are entirely that – new. What I feel is happening in the wider gaming community is a confusion of re-themes, or whatever you want to call them, with refining of game systems. Returning to the Cthulhu vs Conquest scenario again, I would say that Conquest has taken an aspect of the older game – the story card line-up – and moulded itself around that, while bearing in mind the source IP, and has produced a game that feels familiar, lowering the barrier of entry, but is nonetheless fresh and true to the Warhammer 40k theme. If Conquest had had four separate conflict stages at each planet; if only three planets were ever up for grabs, and any one of the three could be won after five successful combats there; if players had to build up a domain to manage their economy – this would make me think that Conquest was a lazy design. It has none of these things, of course, so take from that what you will. In short, I have no real problem with companies taking successful game systems and mechanics, and tinkering with them to create new games. Hell – I am a huge fan of Flying Frog Productions, and count A Touch of Evil and Fortune & Glory among my favourite board games of all time, and they are essentially the same game with a new theme! Flying Frog are living proof, however, of the triumph of theme over mechanics – a common criticism of the company being that they have designed the same game five times. While not exactly true, they have a core “FFP engine” that drives their games, and this has led to players, myself included, being able to concentrate on enjoying the game rather than flicking through the rulebook after every roll of the dice. To finish this rant, games are meant to be fun! If you have fun while playing the same game in different themes, that’s what it’s all about! If you don’t – well, just move on! 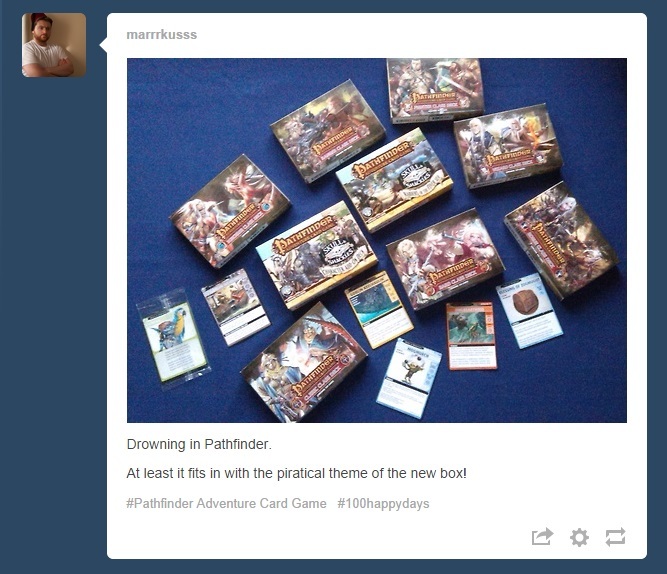 It’s hardly like we’re living in a board game drought, after all! Right then, I’ll put my soapbox away now! If you haven’t already, and you’re looking for a fun game, then I can heartily recommend you check out this week’s game, Arcana – it’s a deck-building card game for 2 to 4 players where you take the role of a guild in the city of Cadwallon, attempting to gain control of the city by recruiting a number of the notable denizens before the Ducal Jubilee. Highly recommended, and you can pick it up on amazon right now for under £25! Fantastic! Talking of cities, I’ve booked a trip to London in December. Something to look forward to, as my birthday looms! I do enjoy the capital, though – the British Museum being the main attraction, I won’t deny! I’m going to stop typing now, anyhow. Hope you’ve all been having an excellent Tuesday! The city of Cadwallon is infamous for its intrigues and power struggles. It is a city with a deep history, whose thick walls contain many hidden places of power and arcane relics. The lure of these mysteries makes Cadwallon the focus of yearning for many. The most exclusive circles of power in Cadwallon are occupied by numerous merchant corporations, known as guilds. They compete to control the city’s vast resources. Can the agents of your guild recruit the most influential citizens in the city and recover the most precious relics? Can you claim control of Cadwallon? 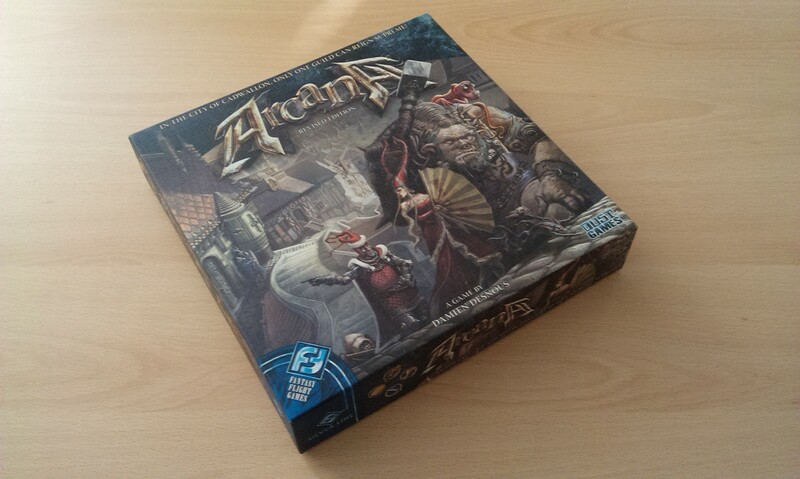 It’s game day again here at spalanz.com, and today I’m going to look at one of the great overlooked games available in the world today: Arcana! Set in Aarklash, the same world as the boardgame Cadwallon: City of Thieves, and replete with the fantastical artwork of Paul Bonner (among others), the game is just excellent! The players take the role of guilds fighting for control of the city. There are six guilds on offer in the game, each one with a distinct flavour. 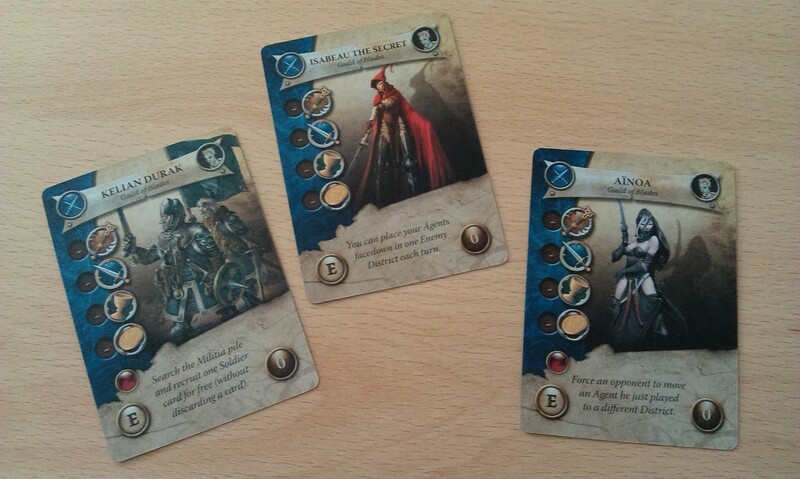 Each of the Stake cards has a value down the left hand side, with its “Main Arcanum” in yellow. You need to deploy one of your agents that has a high value, to equal or exceed the Main Arcanum of the Stake card, in order to win it. Some element of bluffing is involved, as each player has at least one Friendly district to which he can deploy his agents face down, as well as the Neutral or Enemy districts, to which he must deploy his agents face up. In the above example, then, the Stake card Sallas Yesod has a Main Arcanum of 6. The Guild of Blades has deployed 3, and the Guild of Thieves has deployed 4. In this case, neither would win the Stake, so they stay there face up until the next round. If there had been a tie, all three of the agent’s arcana are totalled to determine a winner. 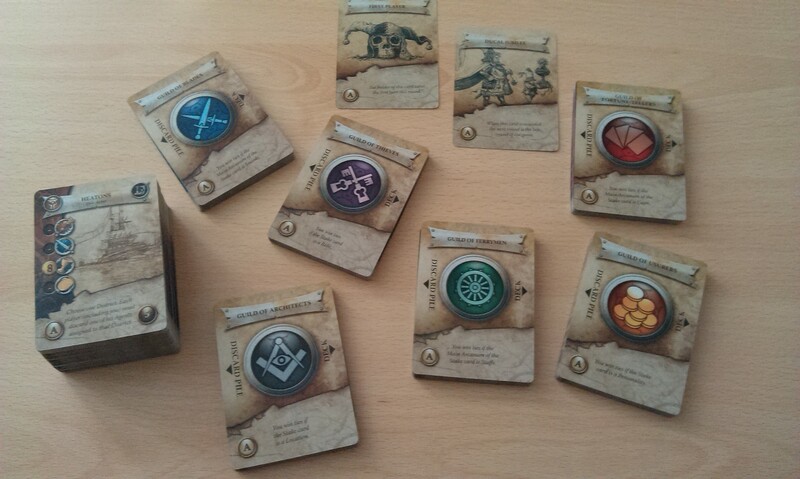 However, each of the Guilds has a ‘crest’ card, shown earlier, which acts as a tie-breaker. When you win a Stake card, it enters your discard pile, and you can use it in future rounds as agents to gain more Stake cards. The game continues until the Ducal Jubilee card is revealed from the neutral district. This indicates that the game is about to end, and one more round is resolved. With the game over, the players total up the values of the Stake cards, and the player with the highest value has control of the city and wins. It’s really quite straightforward! There is, however, more to it than that. 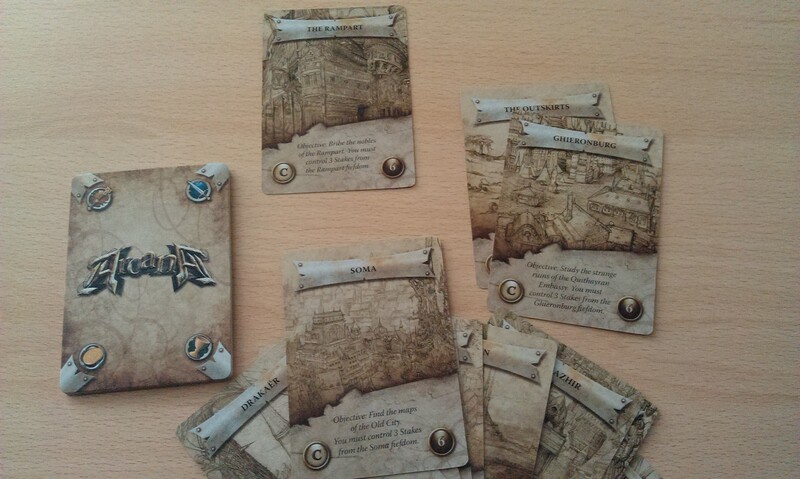 In addition to agents, you get locations and relics in your deck, which you can use for differing purposes. Locations have specific effects that allow you to, say, deploy additional agents, while Relics allow you to “bribe” a Personality Stake card. 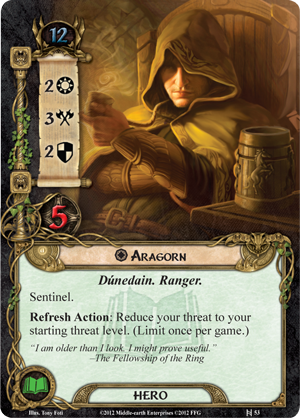 That is, you play a Relic card along with one of your agents and use the Relic’s ducat value – along with the agent’s matching arcanum, and compare it with the ducat value of the Personality Stake card. Only Personality cards can be bribed in this way, but some have a zero ducat value, indicating they cannot be bribed. Arcana is a terrific game, and one that I feel is genuinely overlooked a lot of the time. Not many people I talk to seem to know about it, or if they do, it is because of the other games set in the shared fantasy world. However, it is well worth looking into! Not least because of the whole host of optional rules available in the core box! We’ll start with the “customizing” rules. You may have noticed in the pictures posted so far in this blog all show cards with a letter A in the bottom left corner? Well, the game comes with over 300 cards in the box, a good proportion of which have cards with letters up to F on them, for all the differing rules that are available. 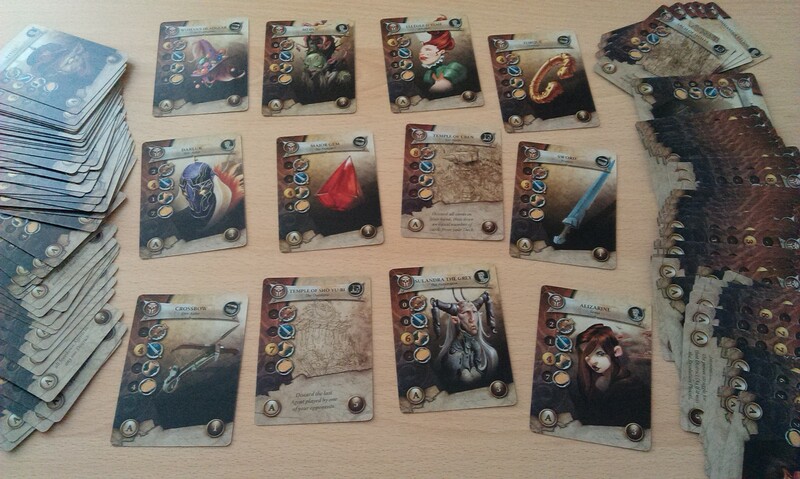 The basic game involves all the A cards, which gives each guild a starting deck of 11 cards. 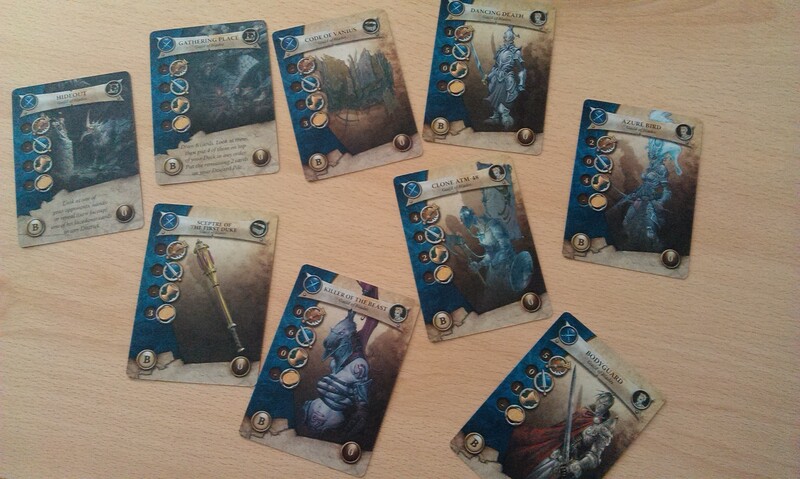 Fantasy Flight have included 9 cards for each guild with the letter B in the corner; the idea is that you can build a deck of 11 cards out of the two sets in order to strengthen what you would like to use as your strategy for the game. I like this especially because it adds something to the deck-building genre that I’m not aware of any other such game having – a customized set-up. Objective cards are a really nice little side-quest style of play, and provide some nice bonuses to the final scoring! The Militia are denoted by cards with a D in the bottom-left corner. I must admit, I’ve not actually played with this particular variant of the game, so can’t comment on its utility. 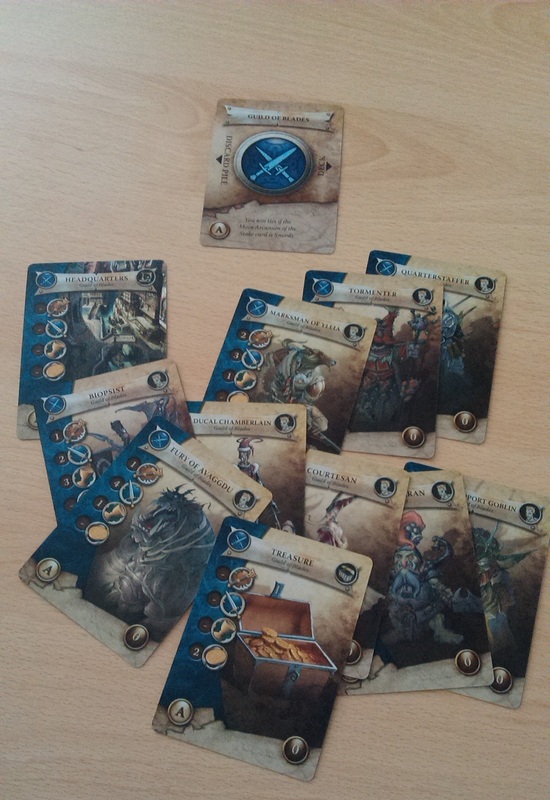 There are six cards – two Captains and four Soldiers – that are shuffled at the beginning of the game and placed in a separate deck. The idea is that players can, if they so wish, discard a Stake card from their hand to gain the support of the militia at a district, by playing the top card of the deck there as an agent. 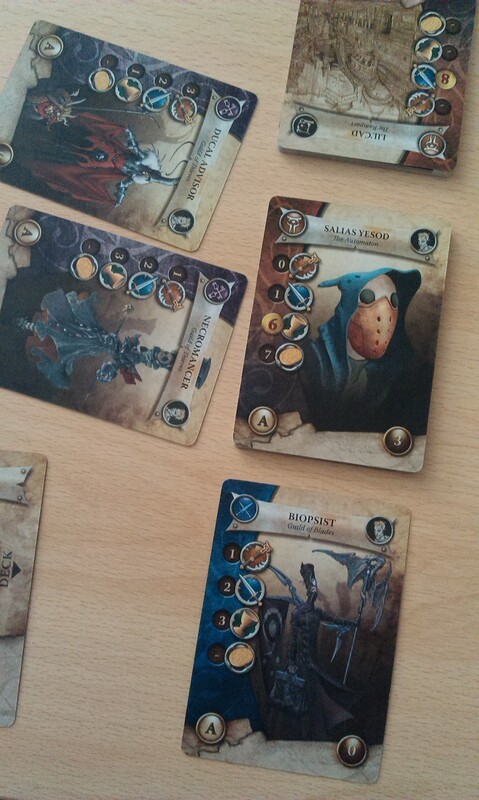 At the end of the round, all militia cards are put back into their deck, which is reshuffled. Given the fact that the militia aren’t particularly amazing stats-wise, I find it difficult to justify their inclusion, to be honest. 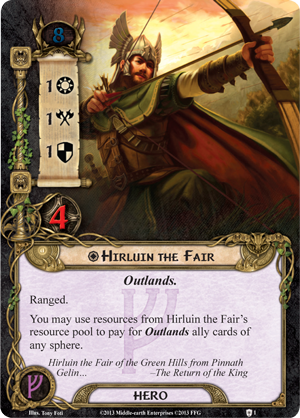 Granted, if you’re playing with Objectives and you are desperately trying to win a specific fiefdom card but don’t have the required Arcanum, it might be worth trading off a Stake card for the blind draw of a militia card, but I’m not really convinced. If there were some additional effect they brought to the table, such as breaking ties or something, then they might be more compelling, but as it stands, I think I would be inclined to keep my Stake cards. Each Guild comes with three Guild Masters, one of which you choose before the start of the game and place it next to your Guild Crest card. 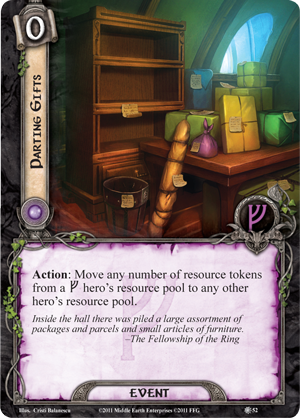 These cards provide your guild with a unique ability that is either once-per-round (denoted by the purple icon above the letter) or always-on. Further, each guild has at least one Guild Master that specifically interacts with the Militia variant described earlier. While they’re all variations on a theme, I do like these cards. They provide some useful boons that you can use, and add yet more depth to the game. The Ducal Jubilee turns out to be but the first in the many public holidays celebrated in Cadwallon! There is a bit of setup here: at the beginning of the game, you shuffle all 12 of the event cards, then take three, shuffle the Ducal Jubilee into those, and place them on the bottom of the event card pile. As normal, the Jubilee denotes the last round. However, the events add a nice sort of area-effect to the game, such as the Day of Law, which prevents bribery from taking place, or the Festival of Lanterns, where all agents are placed simultaneously. Finally, there is the option for Tactical Discards (no letter). When you win a Stake card, you can place it under your Crest card rather than into your discard pile. I find this can be really useful if you’re sensing the Jubilee is close, and want to stock up on expensive Location cards but don’t want them clogging up your deck, for instance. I must say, however, the rulebook isn’t precisely easy to follow. Don’t get me wrong, it’s no Death Angel, but it wasn’t particularly clear on the first read-through how things like bribery worked, and seems to be almost over-complicating itself. I’m not sure if part of the problem might be due to the fact that Fantasy Flight are acting as distributors for a French game, but anyway, familiarity with the game definitely helps. I mentioned the board game City of Thieves at the top of this blog, and the two games are quite closely linked. Indeed, I had ordered City of Thieves online when I was reading a review that mentioned this game as the way one player and his group choose who goes first in the board game. That just sounded absolutely tremendous fun, and was the reason why I bought this game. A couple of years later, and here I am – having sold the board game, I have kept hold of Arcana because it is an absolute delight! As a final word on the game, I’d like to mention just one other small point. This game is complete as it stands – with effectively six mini expansions in with the base game – and has not had an entire glut of additional content released, because it stands perfectly well on its own. You can have a whole ton of fun with this game, without the need for more stuff coming at you every other month, or whatever. Oh yeah, and a final-final point I’d just like to mention – this is a card game with no extra bits: it’s just a box with a mass of cards in it. Don’t get me wrong, I love the card games from Fantasy Flight, but sometimes, it’s nice to play a card game that is precisely that – no tokens and chits, no dials, nothing but cards! So go on, treat yourself to an amazing and fun game today!